As I’ve mentioned before; there are many restaurants close to my workplace, and some of them have come and gone. Last week just happened to be the Grand Opening of Panorama, a Mediterranean restaurant that also serves All Day Breakfast. So I decided to give them a try last Thursday and see what they’re all about. I ordered one of their daily specials, the 1/2 chicken combo for $7.99 + tax, which comes with rice or fries, pop, and soup. For an extra $1.00, I upgraded the pop for a Laban or Ayran, a yogurt drink. 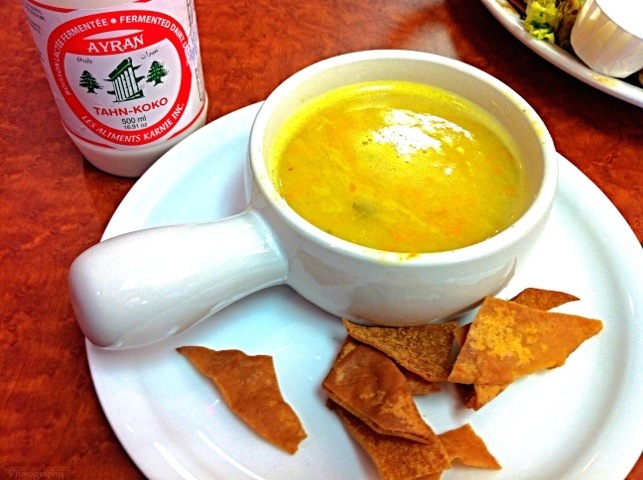 The soup was a yellow lentil soup and it was full of flavour, with a hint of cumin mixed with other spices. The flavours of the spices blended well and were not overpowering the lentils. It’s the kind of soup you’d want on a cold, snowy or rainy day. 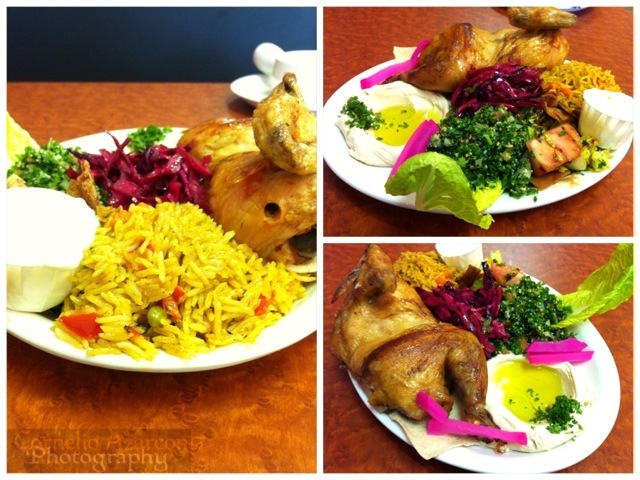 Then came my meal…with salad, garlic sauce, humus, rice, and of course, half a chicken. The chicken was very tender and mildly spiced. It had a slight sweetness to it, which I thought was quite enjoyable. The meal was huge, and I thought I have met my match, but who am I kidding? I definitely finished it, and was thoroughly satisfied with my experience. Will definitely return to try their other offerings.